Whew! 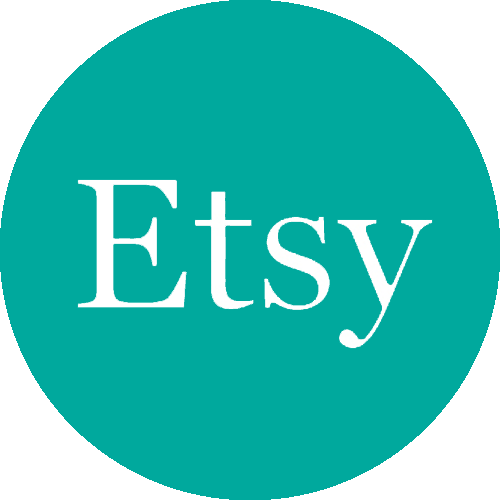 There are now a goodly LOT of new earrings, and necklaces online for your delectation in my Etsy shop. 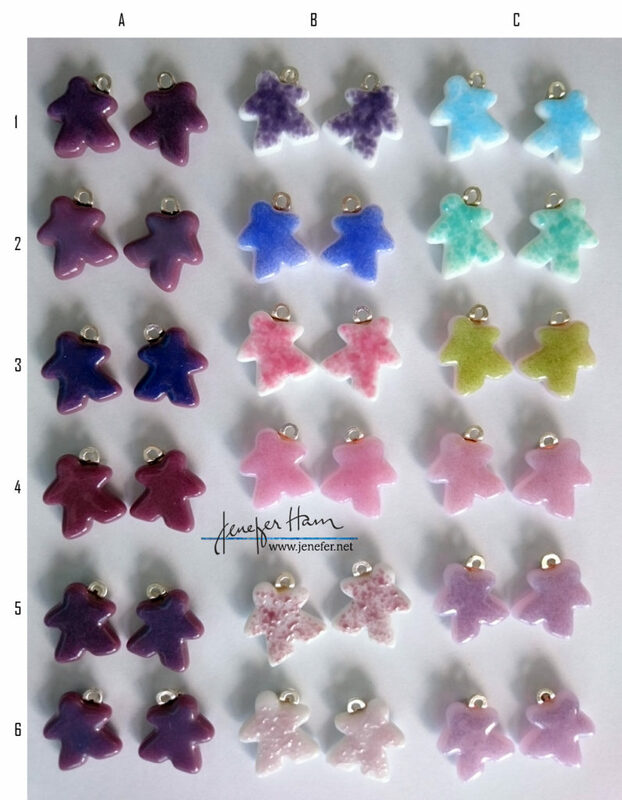 I also went a little crazy playing with modifying the base colored meeples with fun frit colors, so those earrings are available now too =) Enjoy! 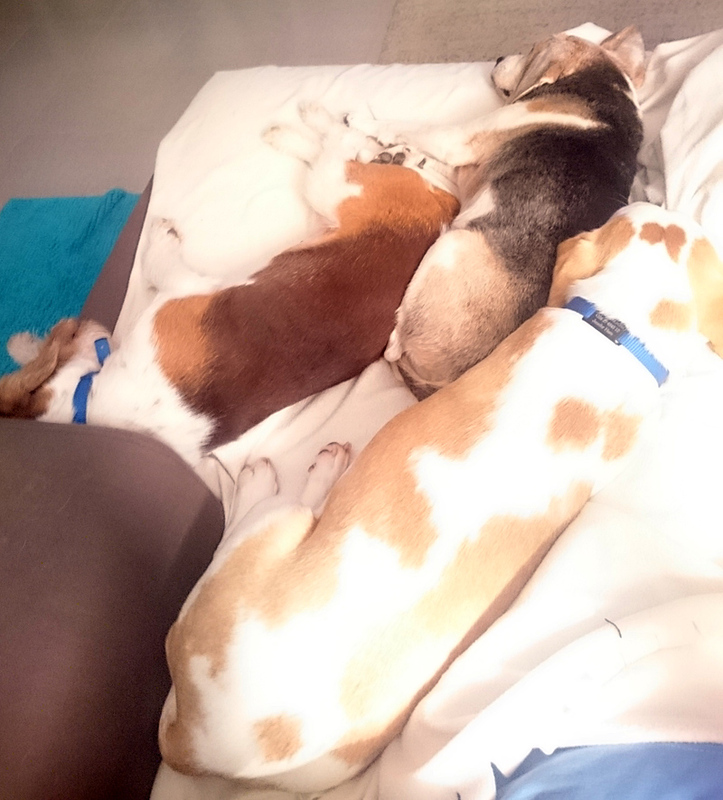 And let’s finish with a nice photo of our beagle herd. There’s Daisy, then Dobby and Gertude. I’m about to collapse on the couch with them!